Even with visible flaws One A9 is a great handset to be available with $399. Also you are able to have the latest Android version of 6.0 Marshmallow loaded in such a low price of $399. So when compared to high end smartphones, it may perform at lower pace. But when it comes to mid-range smartphones, One A9 is a better option you can find. Since HTC has a long legacy of launching high quality smartphones, you can definitely trust the brand provided you are looking for a full-fledged middle range handset. Many of the gadget lovers may have a double mind towards the latest flagship gadget from HTC. This is because their earlier version proved to be a failure when the competition was tough. Unlike the earlier build, this version proves to be better when the specifications are examined. But still it has some flaws on its make. Again this gadget cannot be disregarded since HTC has the reputation for its design quality and also for its processor making. Anyway let us have a peek into its specifics and look what HTC has made to make One A9 a better gadget than their previous M9. 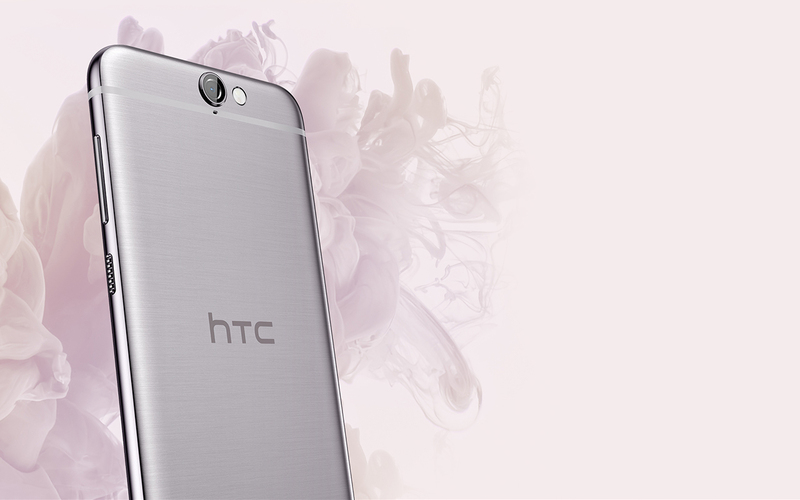 When HTC designed One A9 they made the case with matte anodized texture which is smoothened when compared to the earlier aluminium polished case of M9. The edges of A9 are touched with aluminium traces making it differentiate from Apple’s iPhone. A9 is as thin as 7.3mm when compared to bulky M9 with 9.6mm thickness and is also lighter by 14 grams. Since it has reduced its thickness and weight along with smooth edges made this handset to be easily held in your hands. The top part is plastic cased inside which you may find connectivity antennas like GPS, NFC, Bluetooth, WiFi and so on. 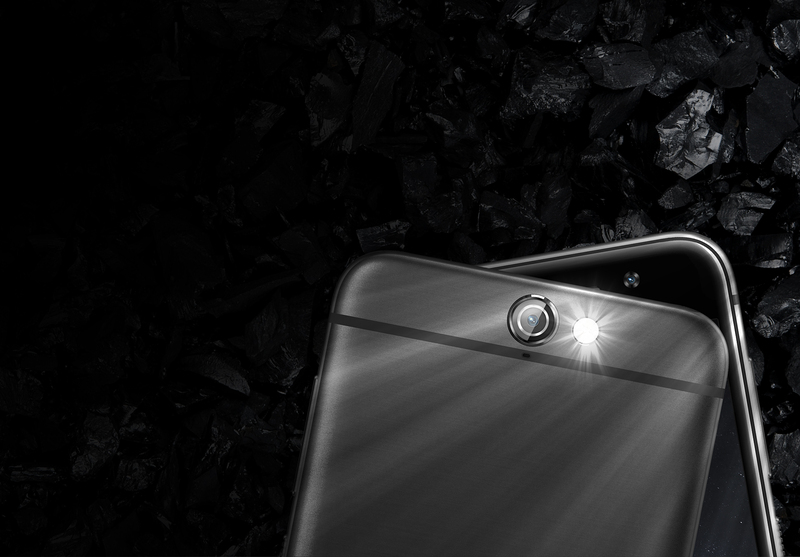 The designing team of A9 has conveniently placed home button and fingerprint scanner. The microSD card and SIM slots are placed on the left side. The display of the handset is powered by Super AMOLED screen supported by colour reproduction and brightness. Adding to this the display is supported by dual colour modes namely AMOLED and sRGB. The display of the handset is designed in such a way to support bright colours where white colour appears to be sharp facilitating maximum level of contrasts. When compared with earlier M9, A9 has got extensive panels with high end sharpness. Adding to this the AMOLED display of A9 is power-efficient, which promises that it drains that less power for its display. 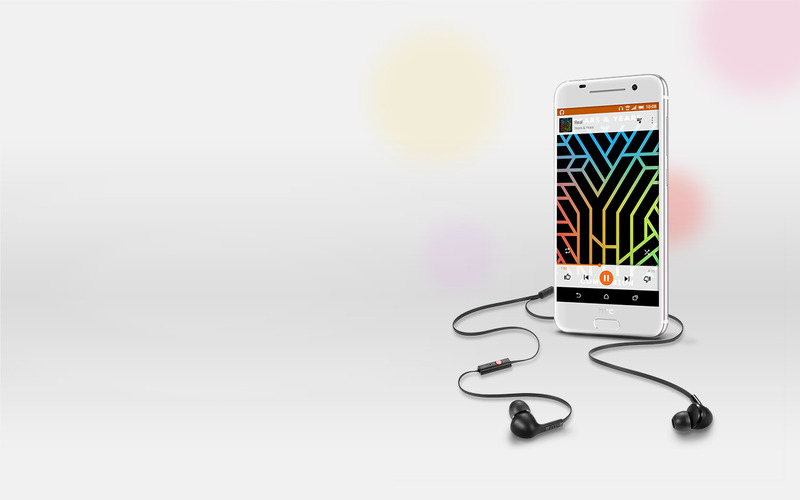 A9 doesn’t feature HTC’s signature BoomSound speakers, instead of which, it is loaded with some usual speakers just like any other smartphones. The headphone jack is placed at where it usually do. The power button and volume rockers take the same side, but they can be easily recognized as they are textured highly. The volume rocker also turned to be of single key for both increasing and decreasing volume instead of having two different keys for both. A9 is powered by Qualcomm’s 64-bit, eight-core Snapdragon 617 CPU chipset which seems to be better than its predecessor, Snapdragon 615.Four of them functions at 1.5GHz while the remaining four clocks at 1.7GHz. Snapdragon 617 is much more power efficient and processes with much more speed compared to the earlier one. The 617 is also loaded with certain additions such as Digital Signal Processor and LTE baseband modem. 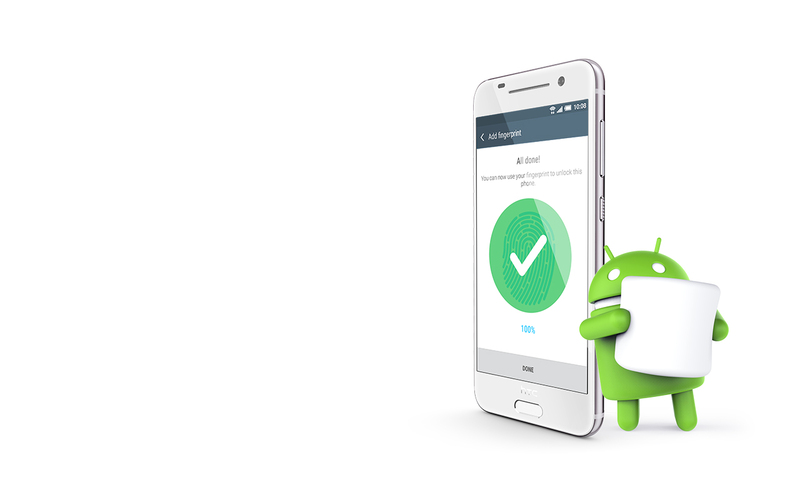 The new processor syncs well with the latest Android v6.0 Marshmallow. With the help of ARMv8 command set up, encryption is not a problem now. But when it is compared to competitors like Nexus 5X or 6P, A9 is not as fast as them. The graphics in the handset is set by Adreno 405 just like in 615. The problem is that this is not a sophisticated graphics supporter. If you want to play some high end games, then you may have to escalate to Qualcomm 800 series chipsets. The smartphones launched in US markets are loaded with a RAM of 3GB and has an internal storage of 32GB. The general variant is loaded with a RAM of 2GB. Both these variants perform comparatively better than the earlier M9 variant. One A9 is the first Marshmallow loaded handset from HTC and the first non-Nexus handset to feature Google’s most recent OS. Tapping on the Home Button for a little time will load Now On Tap. Another feature integrated with Marshmallow is that you can confirm purchases on Google Play with your own fingerprints than using a password for authentication. It is also loaded with a feature called Flex Storage where you can empty certain space on your memory card and use it as an alternative to internal storage. The OS allows you arrange the icons on your Quick Settings panel with the help of SystemUI Tuner. The feature called Sense 7 stuff can be located on the top of the screen, which will let you know the new updates in your social network or latest news. Another attribute called Blinkfeed can be located on the left side of your home screen, which pick appropriate background for the home screen and also combination colour schemes for app launcher.HTC promises that if the user has bought an unlocked edition of One A9, then you will be able to have the updates from Android in your smartphone just 15 days after it is released on Nexus series. Among the specifics, I must say that it went down when compared to its competitors. Images taken in dim light seems to be shaken and blurred, even though the camera is pre-loaded with optical image stabilization feature. Apart from this flaw, the camera doesn’t support 4K video mapping. But the camera performs well in bright sunlight, where image will be sharp and clear. One A9’s HDR mode is no way near the HDR mode of Samsung and Google handsets. The primary camera is loaded with lens of 13MP performs with much lesser quality than 20MP shooter of One M9. A9 camera specifics are not at all upto the mark where the camera UI with the Pro Mode will let you down in exposure, white balance, raw capture mode and ISO. The front cam is loaded with 4MP lens added with an aperture of f/2.0. The flaws of primary cam are followed by the front cam also. It also suffers the same problem of capturing sharp and quality images in dim light, but performs well in bright sunlight. This handset delivers much clear call facility along with persistent HSPA connectivity at 4MB speed. The Asphalt 8 game played well, without much problematic lags in the handset. But when benchmark values are examined, One A9 is placed above previous One M9 but lower to Moto X Pure and OnePlus 2 in almost all the tests. The battery has got a capacity of 2150mAh. On the first sight, this figure may annoy you. But on the test it revealed that the battery lasted for nearly more than 8 hours with HD video running along with WiFi in the screen brightness of 50%. It also lasted for 18 hours in normal day usage along with availing the services of email, chatting, making playlists on Spotify and gaming in-between. This could be possible only with the help of Marshmallow’s Doze feature which makes the handset power potent even with low capacity battery.